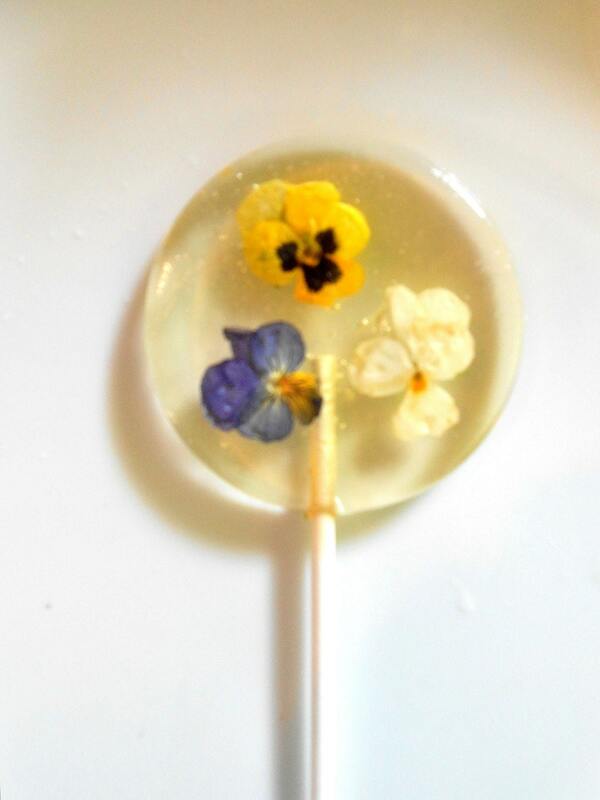 The lollies shown are made with cotton candy flavoring and sport multi colors edible violas. 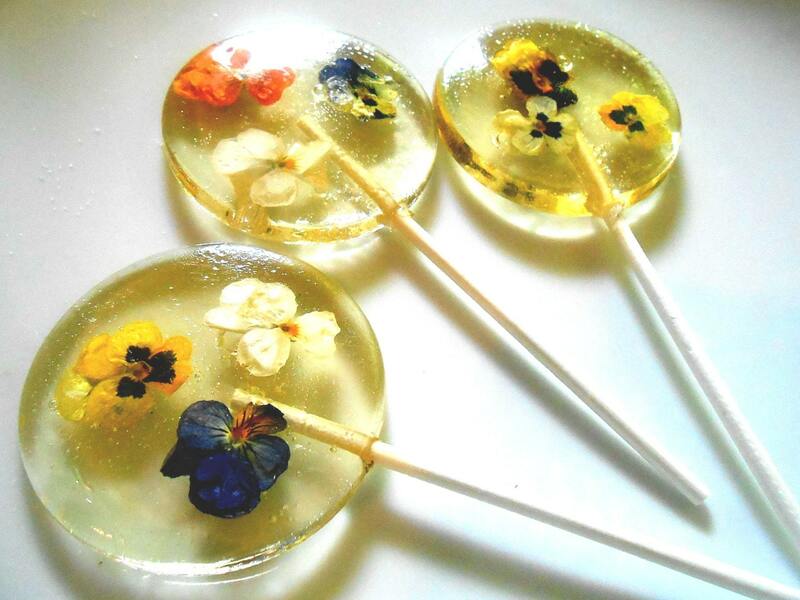 The blossoms just softy float about candy bubbles for you amusement! The violas come only in varied colors. 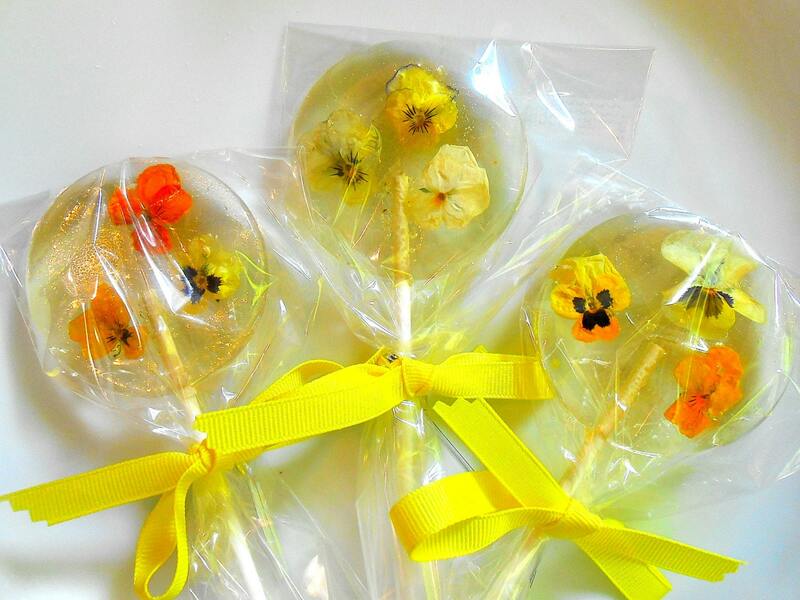 The flowers are embedded in the hard rock candy pop and will be supplied to you in the colors should in the drop down box. 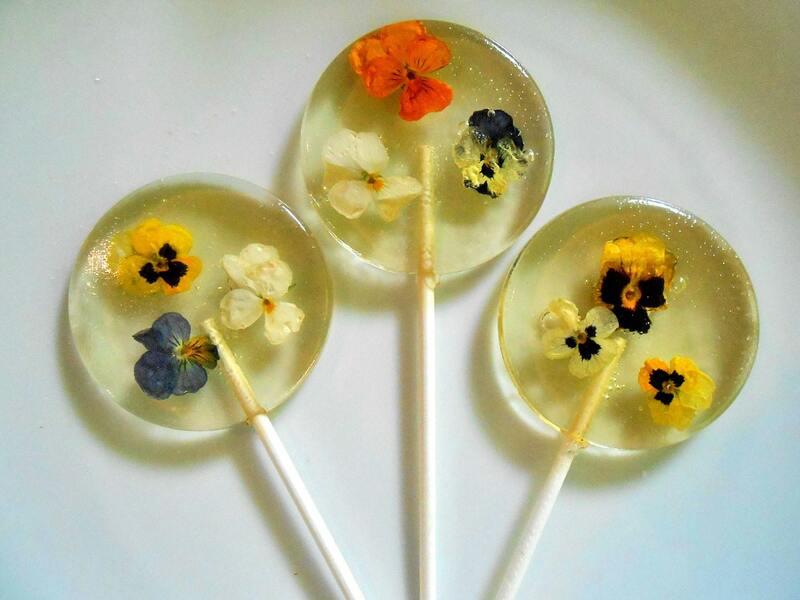 There are no artificial colorings or flavoring used in these pops. 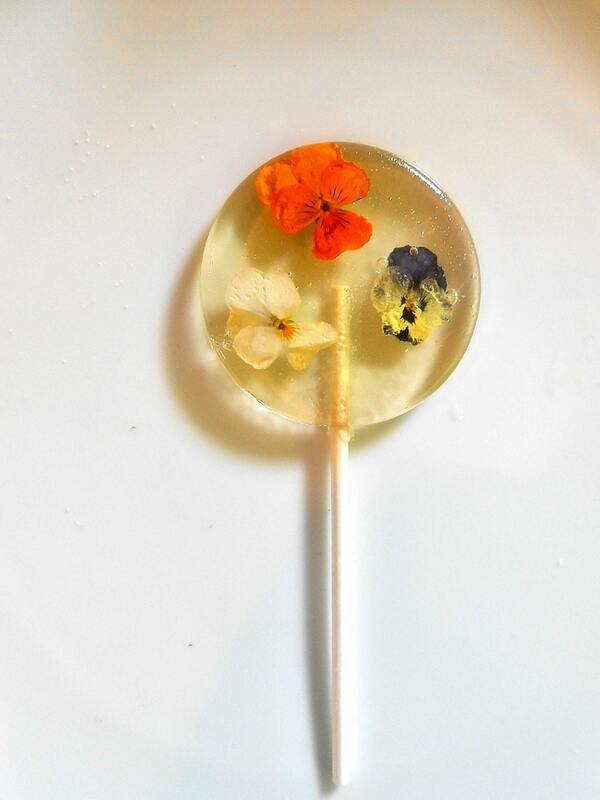 Once the flower petals are embedded in the hard candy they last as long as a year, actually would make a charming souvenir of your special day!